Mana – a Polynesian word for “power”- refers to a spiritual energy all around and within each of us. In every action we make, there is the chance to gain or lose mana. The more mana that one has, the greater impact they can make in the world around them. It is said that mana is most easily earned through virtuous acts of kindness, love, and charity. Adrift Tiki Bar believes that our mana comes from supporting for those who bring positive change in the world. 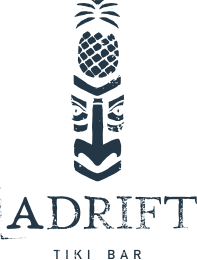 In that spirit, Adrift created The Mana Immersion Fund: a source of financial assistance for humanitarians working with a focus on medical, dental, construction, and hunger relief. The Mana Immersion Fund is financed through the commitment of Adrift to set aside a percentage of total profit from each and every sale we make. Through the Mana Immersion Fund we seek to bring a spirit of Ohana (family) to those in need by helping aspiring humanitarians immerse themselves in projects of goodwill in communities all over the world. ©2019 ADRIFT. ALL RIGHTS RESERVED.